I made this DIY Day Valentine’s gift “I Love You Because”… frame for us a few years ago, but you can use it all year around, thanks to it being reusable. You can erase the note you wrote on the glass with a dry-erase pen over and over again, so you an use this for years to come. The kids can leave you messages, your partner can leave you messages. This is definitely a cute gift for your boyfriend or husband, or you could decorate your home with it for Valentine’s Day. Every family member can use it to leave little love notes to each other. Making this reusable love note is super easy and only took me a few minutes. Put the glass on the page of paper you want as a background, trace around the glass with your pencil, and then cut it out. 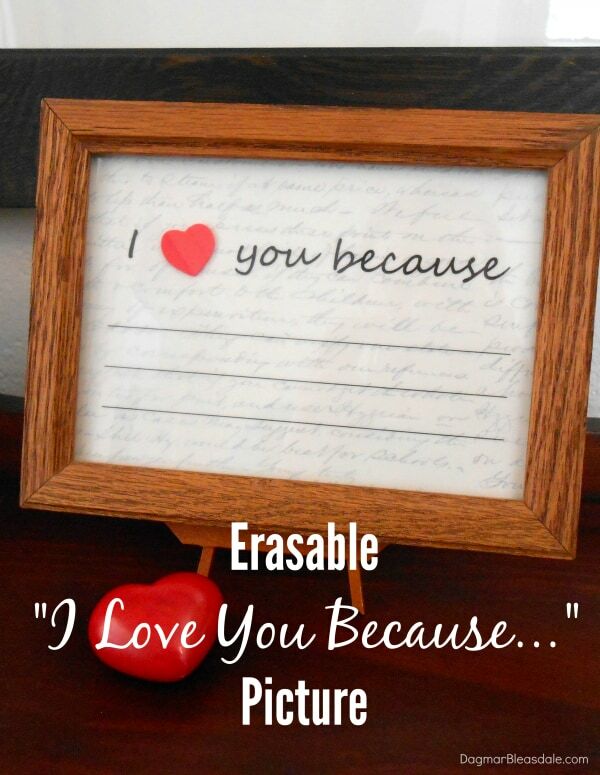 Hand-write or type “I you because” and add a few lines under it in a Word document. You could also just add the word “love” or find a clip art heart to add to the sentence. I used a foam sticker heart, or you could cut a heart out of craft paper. Print out that page on the vellum page and put the glass on top of that page. Trace around it and cut out the vellum. Add the heart-shaped sticker or craft paper to the vellum page to complete the sentence and put those two pages into the frame. Write a short love note on the outside of the glass with the dry erase marker and wrap up the frame as a Valentine’s Day gift, or find a special spot for it in your home and encourage your family members to leave each other little love notes. Have fun making this DIY Valentine’s Day gift. What will your first love note be? 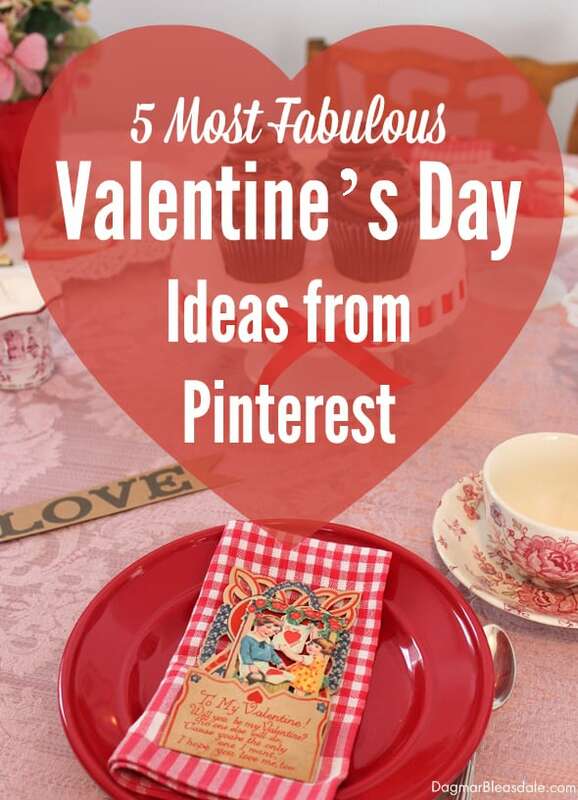 Are you interested in many more DIY Valentine’s Day gift ideas? Here you go! Hi Jamie, thanks for coming by! Thanks for sharing your cute Valentine DIY with us at Foodie Friends Friday! I love this idea! So fun and personal. Thanks for sharing! Thanks for coming by, Leesha! 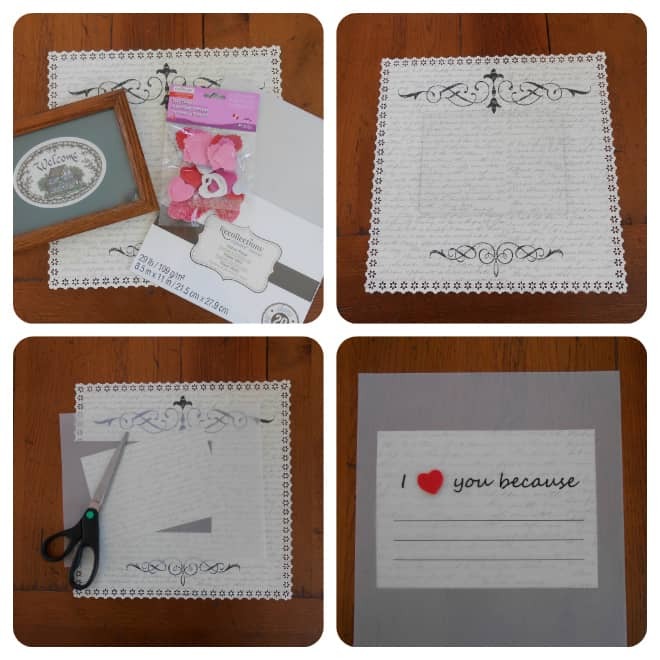 Love crafts that use vellum! Can’t wait to try this!!! Cute! I am cheaply redecorating our guest bathroom which is also my toddler’s bathroom in a way that will show it is hers without being loud and tacky for guests. This will look so good in there (like shower mirror notes!) and be a great way to leave her little messages throughout her life to brighten her morning. Doing this soon! Might do one for our bathroom too which I am decorating in more of a ‘love’ type scheme. This is adorable and such a great craft. I am thinking I can use it for my little girl, too and change it up regularly.